We crafted this strategically significant Napa Valley wine from elite vineyards in the Rutherford Bench and Stags Leap district. Its superb combination of hillside and valley floor grapes produce a complex and exquisite wine. 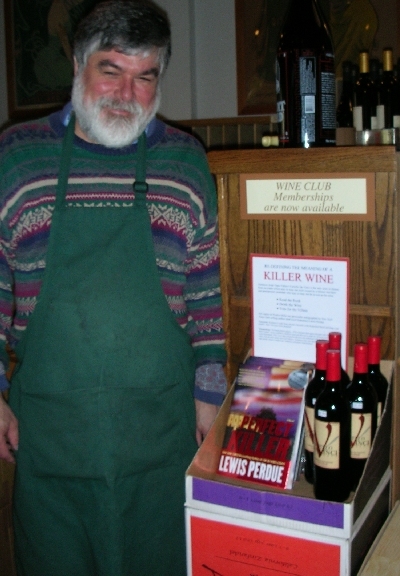 Dan Noreen, Co-Proprietor, Sonoma Wine Exchange stands next to the book and wine display. 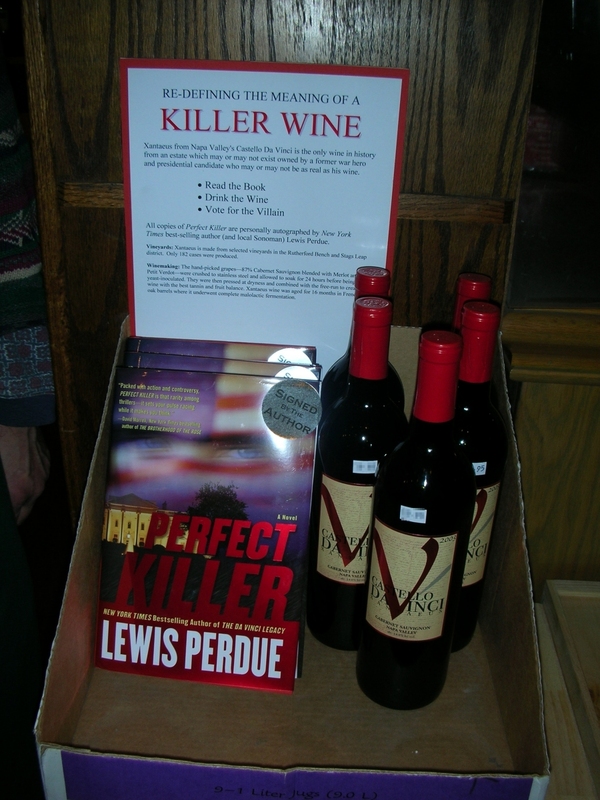 Click here for a close-up of the display, including the wording on the "Killer Wine" poster. 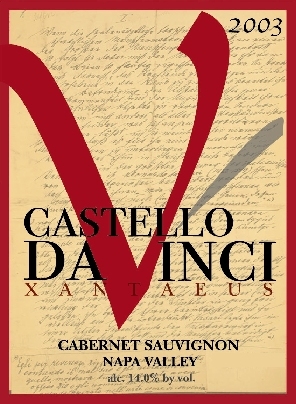 Please email us if you'd like to sell Xantaeus Red in your restaurant or store. Inspired by the castle in Leonardo's home town of Vinci, Castello Da Vinci is General Clark Braxton's private Napa Valley Estate and not a commercial winery. It is, however, a labor of love for General Braxton and a major source of his enjoyment following his retirement from the U.S. Army and his recent decision to transition from the CEO position at Defense Therapeutics and assume the ceremonial post of Chairman Emeritus of that company. Due to the many, many requests for wine from his private cellars, Gen. Braxton has arranged for one of the world's finest family wineries, Cline Cellars, to create and bottle a very special release of Xantaeus for the general public. This exclusive vintage is now avaiilable for purchase. General Clark Braxton and his Napa Valley Estate are featured in a new thriller by author Lewis Perdue. The book, called Perfect Killer, is a partly true, partly fictionalized account of a very serious issue that will face the military in the coming years. General Braxton's former colleague, Dr. Richard Gabriel (Col. USA, Ret.) offers a very chilling account of this problem in a non-fiction Afterword to Perfect Killer. Author Perdue has taken many liberties with General Braxton to make an important point. Despite these liberties, General Braxton fully supports the book, even to the extent of sending bottles of Xantaeus to key people he believes will help raise the book's serious issues. Read General Braxton's letter to wine giftees to learn more. Because of the private nature of Castello Da Vinci, all contact is handled through the Defense Therapeutics public information office.